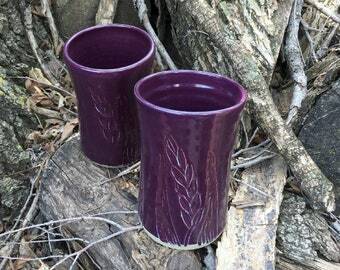 These tumblers would make a perfect gift. 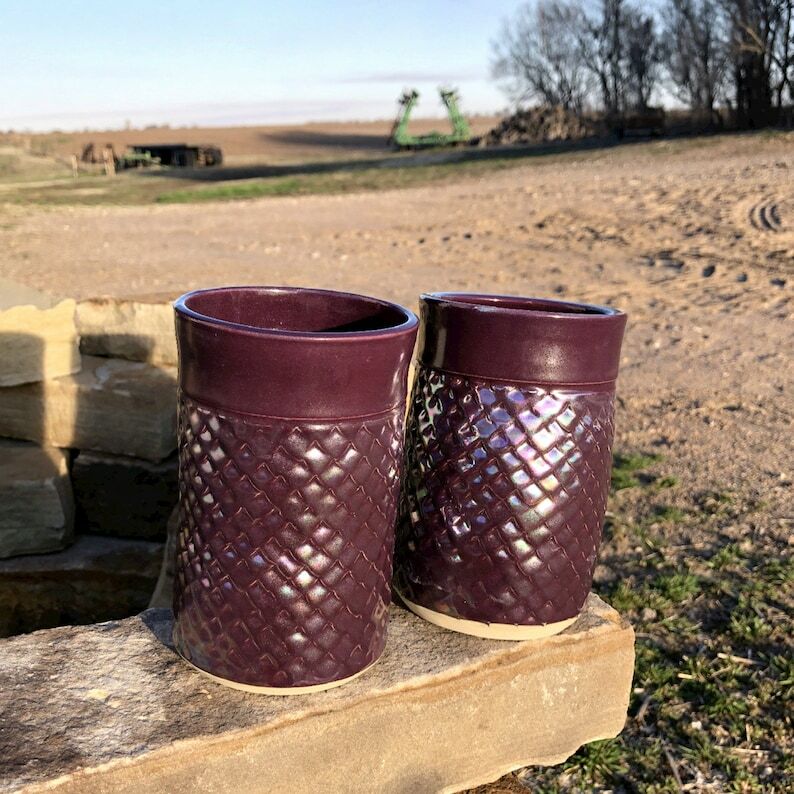 I made these tumblers on the potter's wheel in my Kansas studio. I carefully added a scale design to the sides. 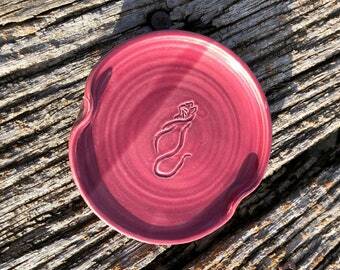 After the tumblers had been fired once, I dipped the entire tumbler in a rich purple glaze. 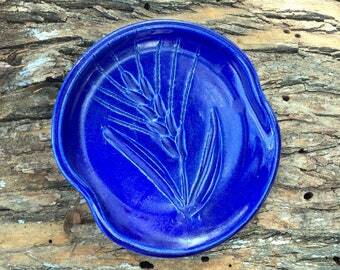 I then fired it in my electric kiln to about 2200 degrees Fahrenheit. I brushed mother of pearl luster on the scales of each tumbler and fired them for a third time. These tumblers will each hold 18 oz. of your favorite beverage. 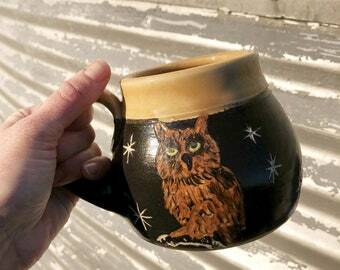 It is 5.5 inches (13.97 cm) tall and 3.5 inches (8.9 cm) in diameter.